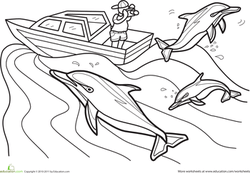 Dolphin coloring pages allow your child the chance get creative while exploring what's under the sea. 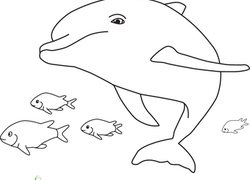 Not only will your child have fun coloring cute dolphins, but they will also learn fun facts and even dolphin anatomy. 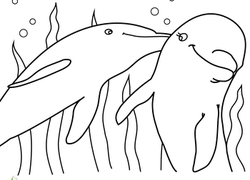 Your kid will be able to see how fun and cute dolphins can be in our dolphin coloring pages. 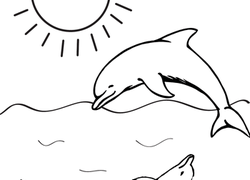 D is for dolphin on this worksheet. 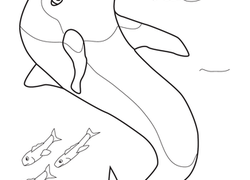 Dive in to this coloring page series of alphabet animals from A to Z! 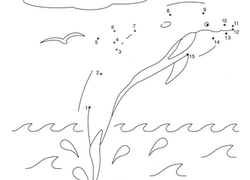 This coloring page features a dolphin taking a giant leap across the waves. If your child loves the ocean, here's the chance for him to ride the waves with a dolphin friend. It features a dolphin swimming along with some fishy friends. 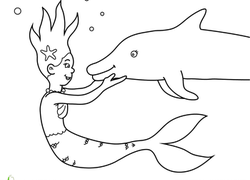 This coloring page features a friendly mermaid spending some quality time with her dolphin friend. The dolphin pals featured here are having a great time playing in the waves. 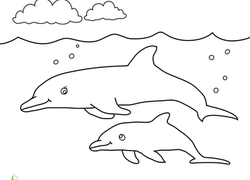 Invite your child to join in on the fun by giving him this ocean coloring page. What have these delightful dolphins discovered on the sea floor? It's your child's mission to finish this aquatic story! 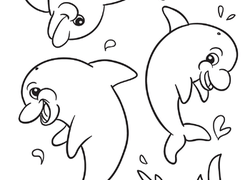 These playful dolphins need some color, and a story! Get your child writing creatively with this fun coloring page, and let his imagination do the rest. 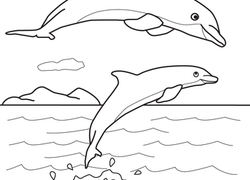 Here's a great coloring page for the child who loves animals and the ocean. This Ichthyosaur looks more like a dolphin than a dinosaur! 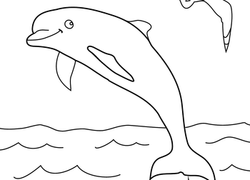 Find out about this awesome creature as you color this undersea scene. 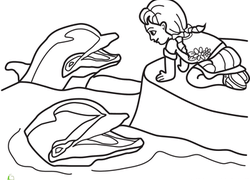 In this coloring page, two leaping dolphins are making a splash. 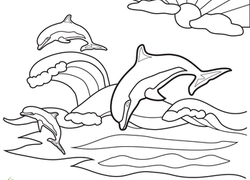 Come out on the ocean with this fun coloring page featuring two jumping dolphins! How many dolphins are swimming around this page? Give your child some practice counting and writing numbers with this fun coloring sheet.